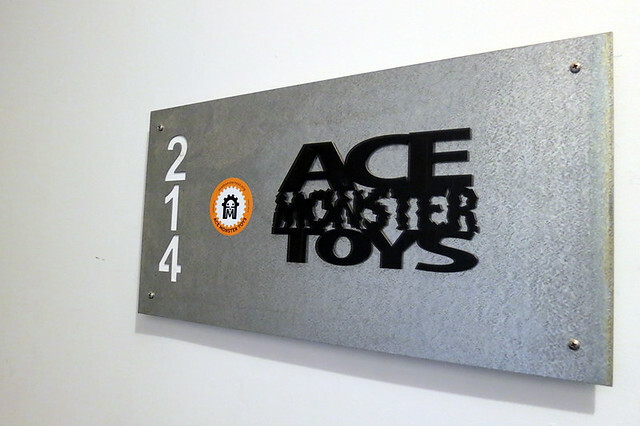 Ace Monster Toys, a wonderful non-profit hackerspace in Oakland, California, recently launched their inaugural Hacker Scouts: Open Lab for kids. 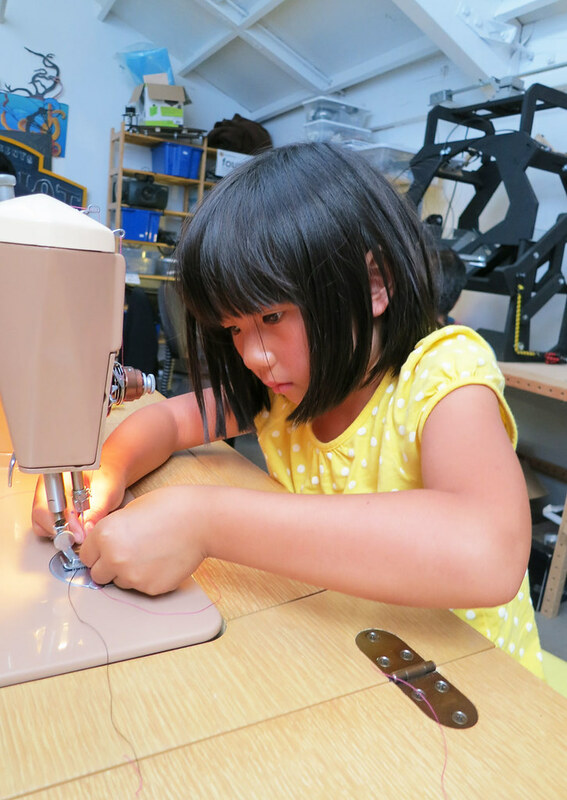 The program is aimed at maker-type kids (in the 8-14 year old age range) and focuses their attention on DIY projects using the space’s equipment. Volunteers are on hand to lead projects and help with use of the equipment. 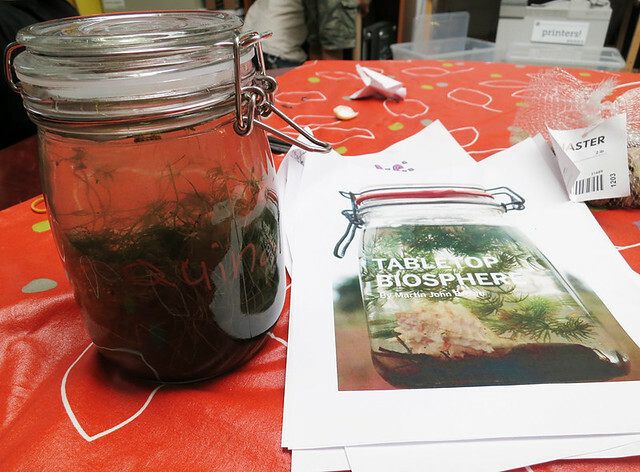 This past week’s featured project was a Tabletop Biosphere but kids could chose to work on other projects too. 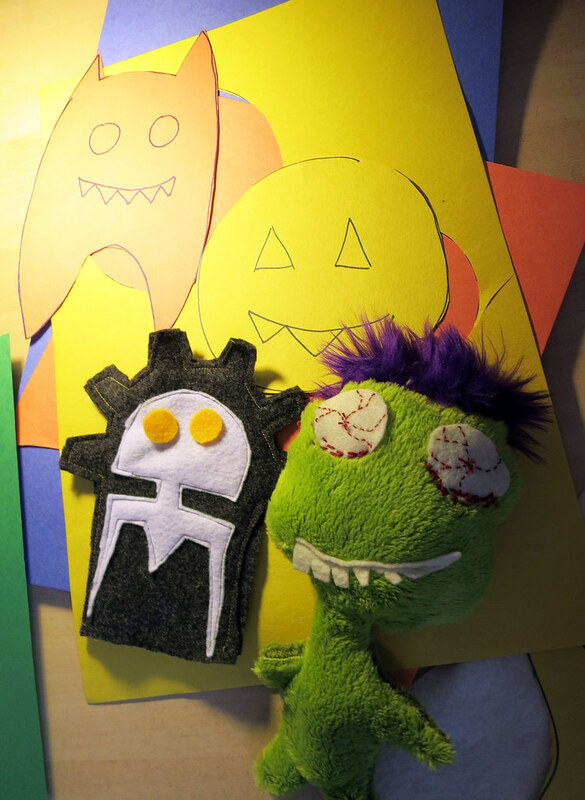 I brought my daughter to the event and she chose to sew a monster plushy from a pattern she created herself, using a sewing machine for the first time ever. 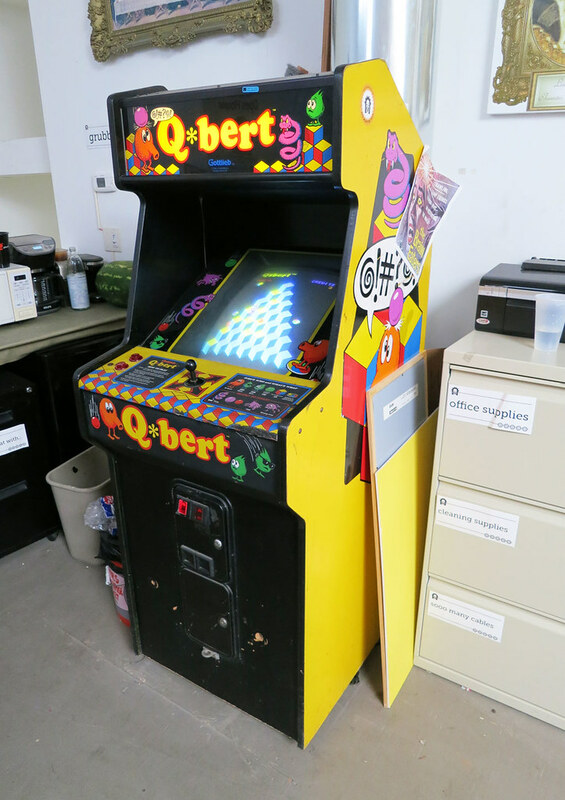 Check out the photos I took of the event and the space (they have a Q*bert arcade game!). Hacker Scouts is held on the 1st and 3rd Sunday of each month, from 2 PM to 5 PM. 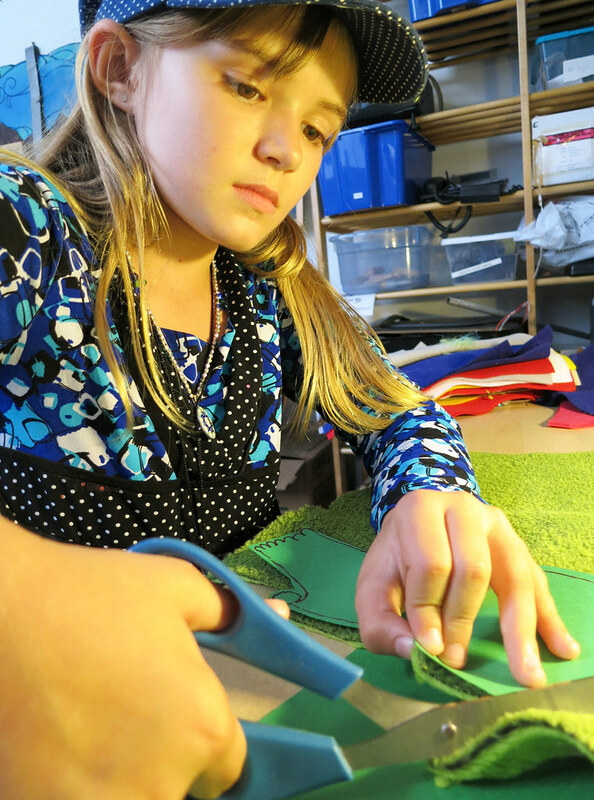 Each workshop requires a small materials fee and parent participation. RSVP for the next event on their Facebook page. 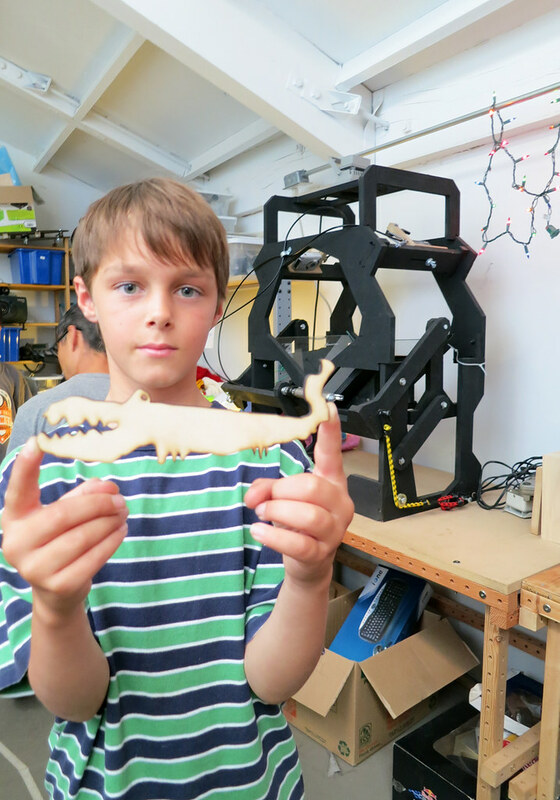 Join us for Open Lab and bring your own project, or work on one provided by AMT! 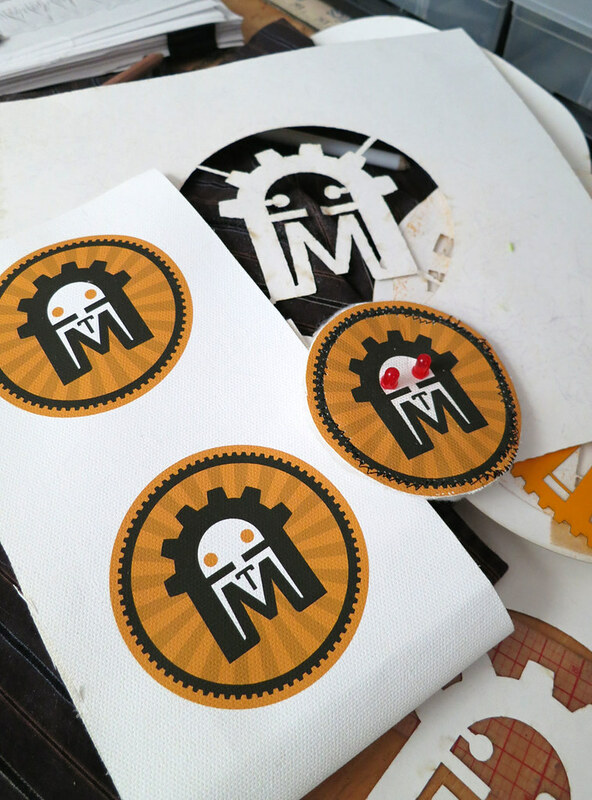 Earn badges and skill build through specific mentor-led workshops! 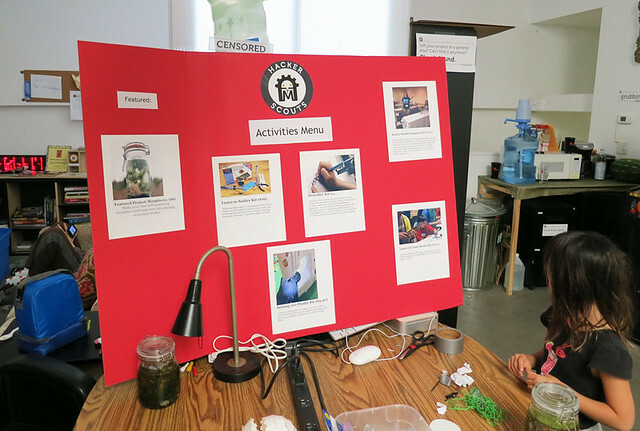 Workshops planned include: soldering, sewing, circuits, programming, engineering and building, leds, dumpster diving and found art, printmaking, and more!